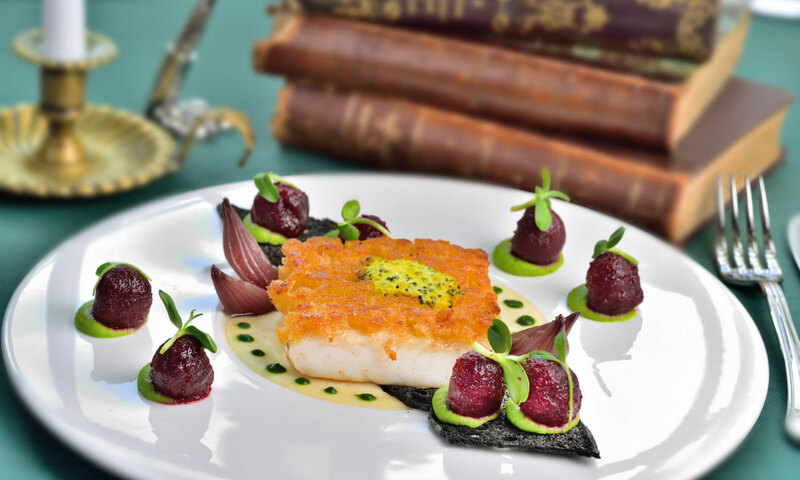 Make a toast to Tolstoy, order the chicken Kiev in honour Chekhov, let Stravinksy serenade you with every spoonful of caviar and Pushkin play host in his palatial library of gastronomic pleasures. For anyone who has a way with words or a weakness for a truly great story, it’s likely that the library is one of your favourite places in the world. 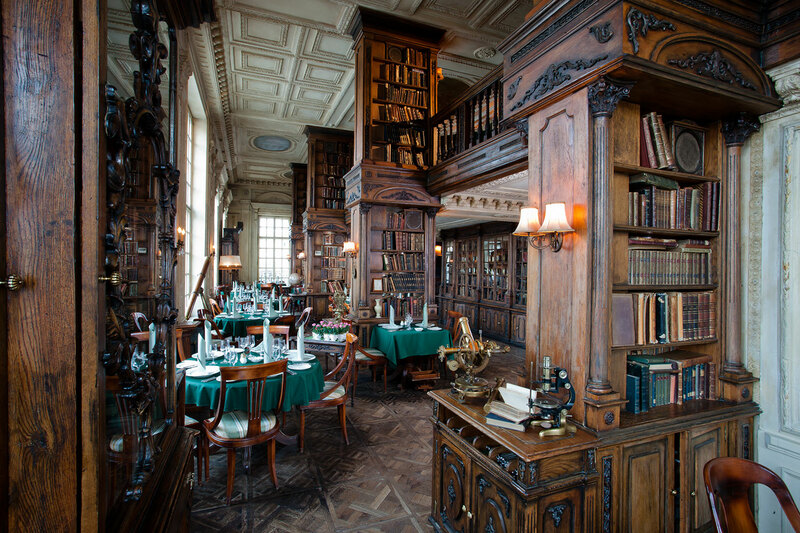 So what if you could dine in a library with its very own restaurant, inside a Baroque Moscow mansion? More than 50 years ago, the legendary French chansonnier Gilbert Bécaud performed in Moscow. When he returned to Paris he wrote the song “Natalie” and dedicated it to his Russian guide. 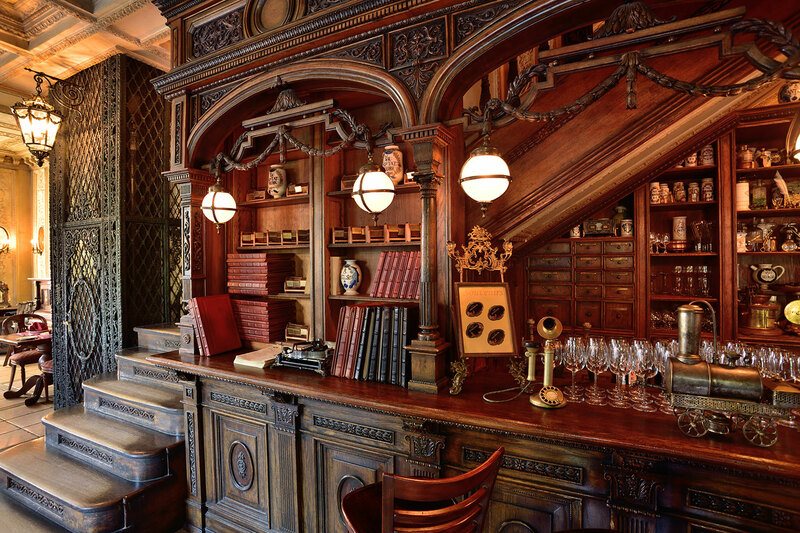 The song became incredibly popular in France, and it is no wonder that French visitors to Moscow tried to find “Café Pushkin.” They couldn’t find it as it existed only as a poetic fantasy in Bécaud’s song. 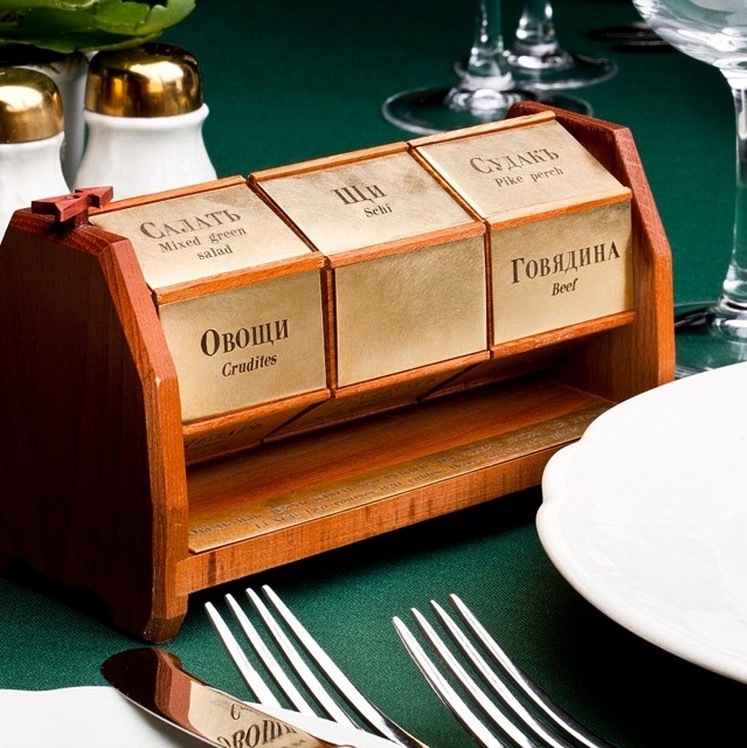 In 1999, this poetic fantasy came true when a Franco-Russian artists and restauranteur Andrei Dellos, and his chef Andrei Makhov, opened Café Pushkin in a historical Baroque mansion on Tverskoy Boulevard. Bécaud, the French singer who had inspired it all, sang his song “Natalie” for the opening. The restaurant has already become a legend and many people are sure it has always been there. 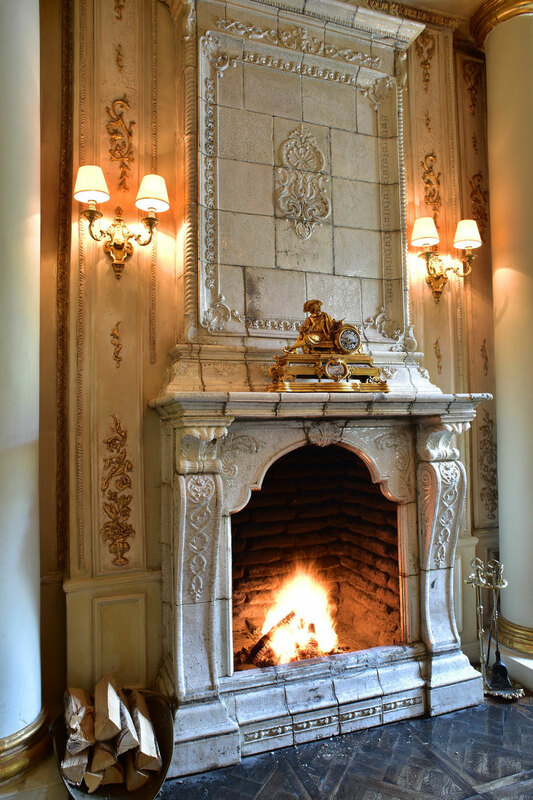 In fact, in the 19th century the ground floor of the mansion was once a café of sorts on the same boulevard where the statue of Pushkin originally stood and where the Russian poet could be frequently found strolling amongst Moscow high society. 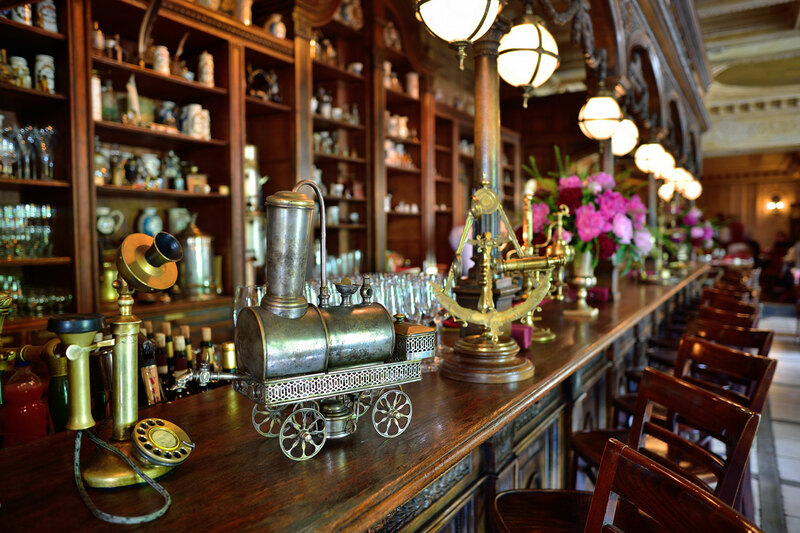 A German aristocrat inherited the house before falling into financial ruin, when he was forced to turn the residence into a pharmacy, which in those days, often served refreshments, beverages, teas, coffee, or hot chocolate while customers waited for their medicines to be prepared. 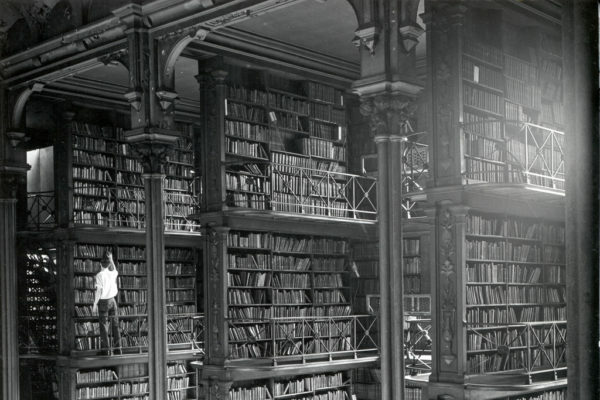 A library full of reference books was also installed on the upper and mezzanine floors. 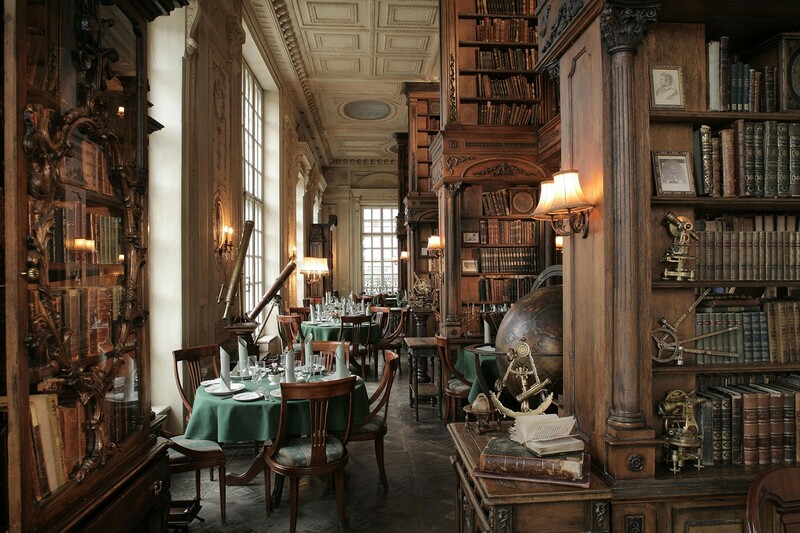 The old pharmacy and the library have been meticulously preserved as they were by the modern-day occupants, inviting guests to reserve their tables in the pharmacy hall surrounded by antique medicine bottles and scales, or in the Library, sitting amongst explorer’s globes, telescopes and rare copies of anything from Shakespeare, Dickens, Voltaire and Dante to Pushkin himself, Tolstoy and Russia’s greatest storytellers. 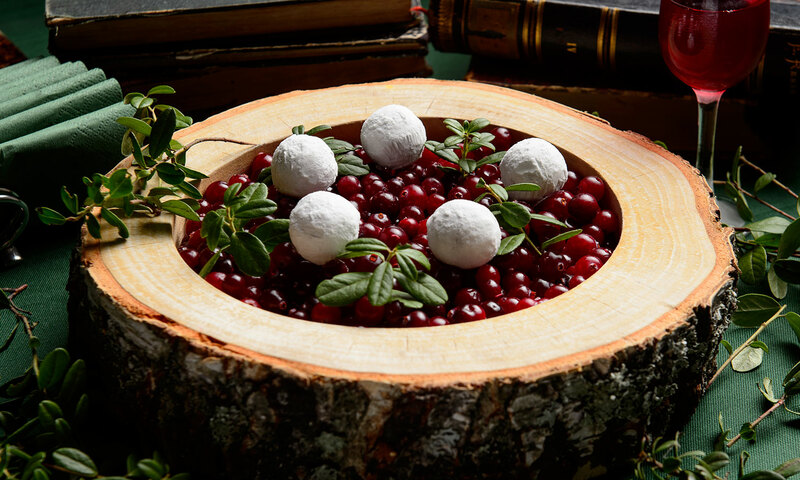 The menu is a thoughtful take on dishes from Pushkin’s own times, both Russian and French, inspired by historic recipes and adapted to modern times. 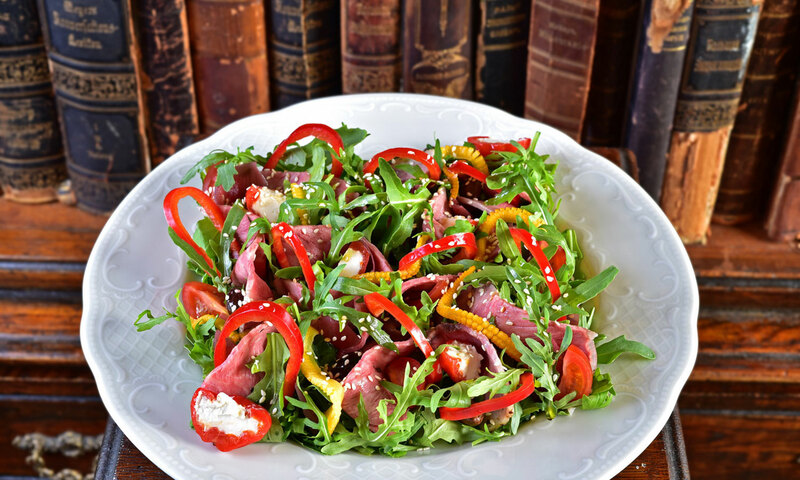 There are some libraries that I think are worth crossing oceans for– especially if there’s a gourmet meal waiting for you when you get there. 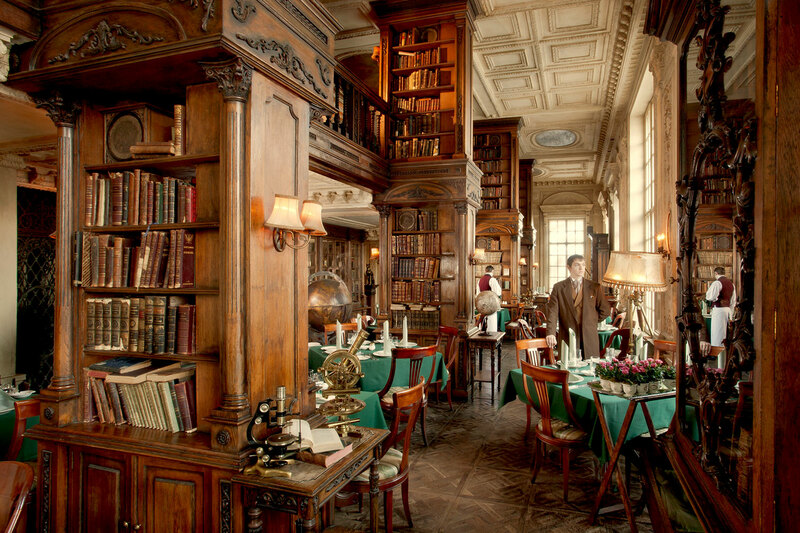 Put Café Pushkin on your bucket list. 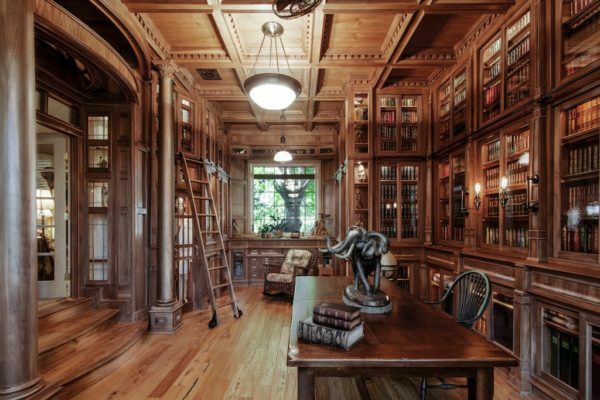 Seriously Though, How Did the Most Beautiful Library in America Get Demolished?